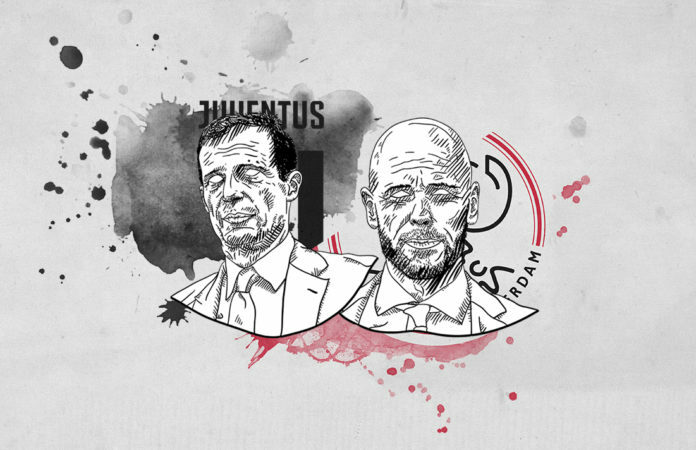 Home Match Analysis Tactical Preview Is Juventus’ squad versatility the key to success against Ajax? After an intriguing first leg, where both teams had their opportunities, Juventus brought the advantage home thanks to their defensive versatility and a little help from Cristiano Ronaldo. The clash between the young, fast Ajax and Juventus’ experienced squad was an interesting one, but it wasn’t decisive as both team’s extreme motivation led to a 1-1 draw. 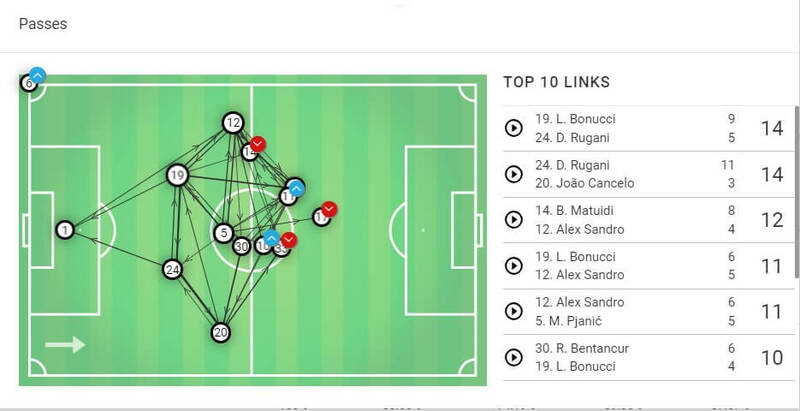 Ajax performed in an organised manner, managing to force Juventus into seeking different options during the build-up. 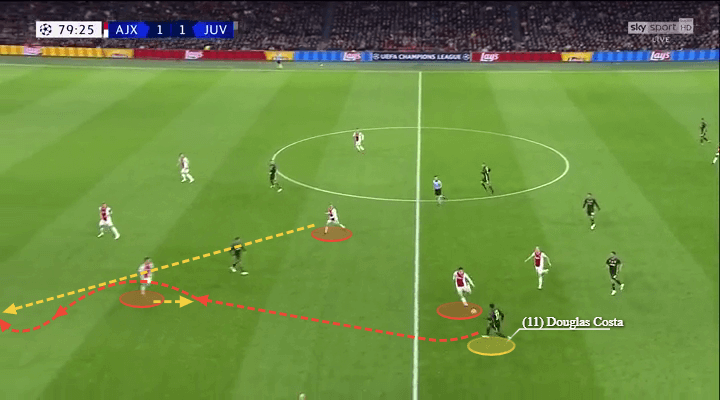 Applying a high press was one of Erik ten Hag’s strategies for forcing the Italian champions into the wide areas. This was in order to block the passing lanes to Miralem Pjanić and stop them from playing through the central areas. Initially, the Bianconeri had some struggles breaking the press but eventually managed to fit a different approach and get what they needed the most: an away goal. But the aspiring semi-finalists needed to be creative in order to catch their opponents off guard. This tactical analysis preview will dive into how both teams could expose their opponents’ weaknesses and reach the Champions League semi-finals. Juventus’ advantage when it comes to bench players is undeniable. When both sides are extra prepared an explosive factor is very important. Being versatile at the back is what helped Juve in the first leg, but having some more options up-front is what might make the difference at home. Ajax managed to stop the Black and Whites from producing too many shots and there were a couple of reasons for this success. By forcing the actions out wide and stopping the visitors from building from the back, Ajax made it difficult for Juventus to reach their driving force in Miralem Pjanić. Juventus had to use Alex Sandro on the left quite often, who would then create short pass combinations with Blaise Matuidi in order to deliver the ball into the central areas. The team tried to use João Cancelo too, but Ajax’s man-marking and press were hard to overcome. Juventus’ top passing links. One of the most frequent ones during the build-up was between Sandro and Matuidi in order to break Ajax’s press. The reason for that not being so productive was Ronaldo’s movements. Due to his injury, his movements were far more narrow which affected the team’s style of play immensely. 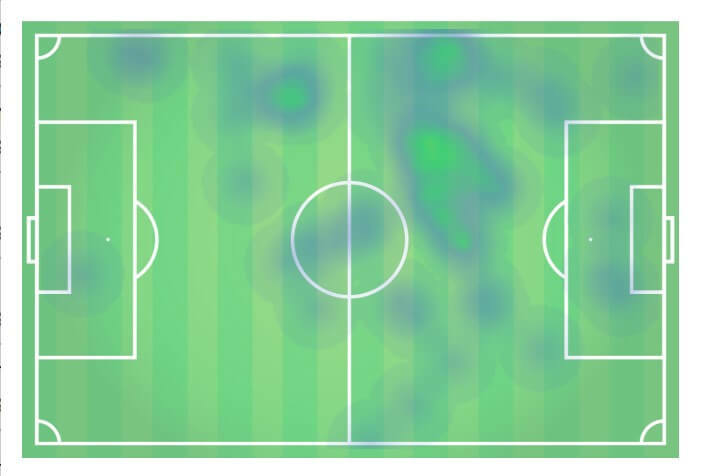 The heat maps above show the difference. The first image shows his movements in the second leg against Atlético Madrid. He was more active both defensively and in attack. He would often drop back and support with defensive actions as well as help with the buildup. It was clear that he was more cautious against Ajax though. The proof of that is that the team produced 17 shots against Atleti and only seven against the Dutch side. When he did drop back though, he managed to create the whole attack for the goal and score it too. Ronaldo dropped back and after a combination with Cancelo opened the scoring. His movement back in the more central areas is crucial for the team’s build-up play. With Ronaldo given one more week to recover the second leg looks a lot more promising for Juventus, but it might not be enough. That is where the bench options could make a difference. First and foremost Massimiliano Allegri has a huge trump card to play: Moise Kean. The youngster has had some playing time for both club and country lately and is not taking it for granted. Scoring seven goals in 11 appearances for Juventus this term has proven he could be a great threat for every opponent. This could be especially true for Ajax’s defenders who found themselves in 2v3 situations on a few occasions. These numerical disadvantages could turn out as their stepping stone with a player like Moise Kean up front too. Kean demonstrates great positioning and offside awareness. It resulted in him scoring. His presence in the final third would give Ronaldo more freedom to pick up the ball and deliver it into the penalty area. The player that brought some fresh ideas in the first game is Douglas Costa. His impact on the team’s performance in the last 30 minutes was noticeable. With four out of four successful dribble attempts and 5/7 offensive duels won, he was a breath of fresh air for Juve’s attacking ventures. Switching between the left and the right flanks allowed him to play an important part in the team’s build-up. Using his abilities could be crucial for breaking Ajax’s press. Costa’s dribbling skills would be very helpful as he could drop back and pick up the ball in order to break Ajax’s press and deliver the ball into the box, most frequently with a cross. Ajax have a huge advantage when it comes to the speed of their players. Their pace was the main reason for the impressive 17 shot opportunities. It might be quite predictable but using Hakim Ziyech and David Neres on the flanks constantly enough might be the key to their success. They need to find a better way to integrate Dušan Tadić to those tactics. He should not only be used as a distraction using his off-the-ball movements, but also be able to play with the ball and create chances. He was quite isolated due to Juventus’ defensive versatility, as they would often set themselves in a 4-3-3 formation to stay compact in the central areas. Donny van de Beek perhaps doesn’t get the praise he deserves. His passing accuracy and movements are often crucial for Ajax. His runs into the box and good communication with Tadić could be the way to break their central defence. Tadić dragged so many players towards him, that his movements opened some space for Van de Beek to operate in. After a nice combination between them, the youngster was able to shoot dangerously. There is one factor that might turn out to be crucial for the upcoming clash. Juventus’ squad versatility and 17-point lead in Serie A will allow them to use every single weapon in their artillery. Ajax are still in a fierce battle with PSV for the Eredivisie title and not having too many high-profile options on the bench could put them in the hot seat. 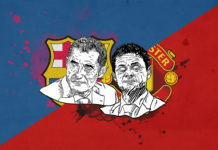 Either way, it promises to be a great tactical battle once again where the outcome could be decided in the blink of an eye.